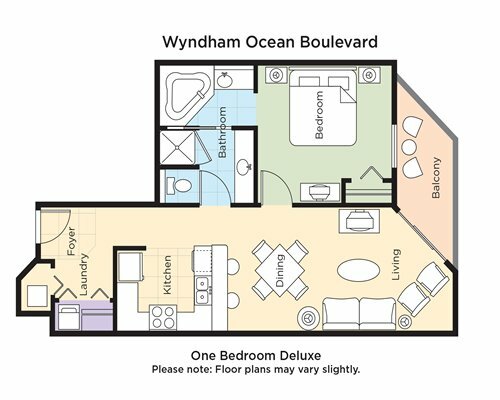 Note: All RCI reservations are for Tower 4 which is across the street from the beach. 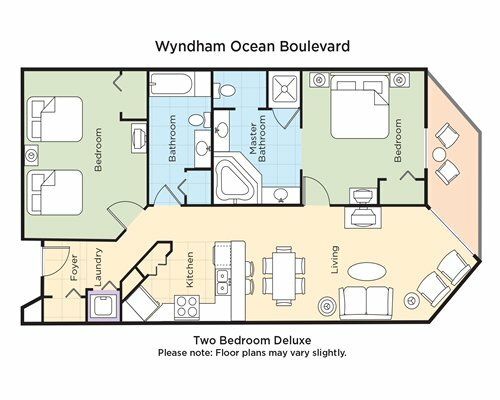 At Wyndham Ocean Boulevard, enjoy many water sports across the street at the Atlantic Ocean. Fishing, sailing and swimming are only a few ideas. The resort itself features three outdoor and two indoor swimming pools, six outdoor and two indoor hot tubs and an outdoor children's pool. 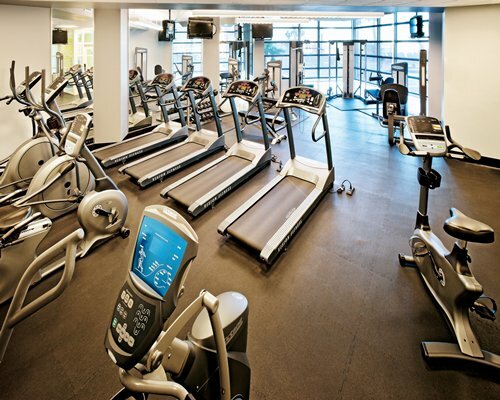 There's also a fitness center, game room and playground. A large variety of daily activities offer unlimited fun for the entire family. 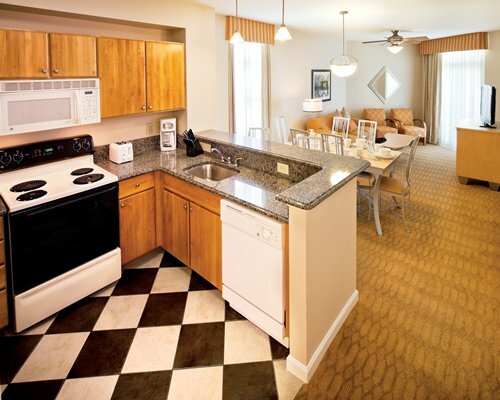 Guests have full access to all resort facilities and amenities located on the entire property. Free shuttle service is available between towers with stops in front of the beach access in the main tower. Free shuttle service is available between the four resort towers including a stop in front of the beach access in the Main tower. 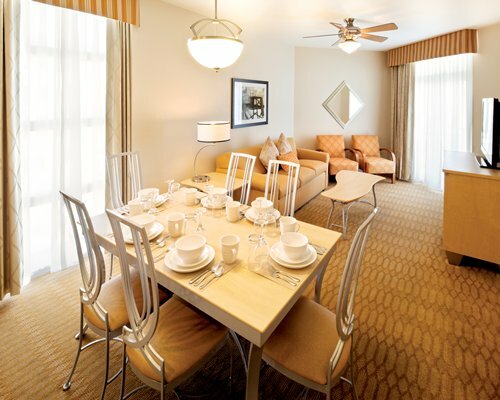 Tower 4 guests have full access to all resort amenities. All units have full kitchen and a balcony off the living room. Fee charged for exceeding max occupancy. Units are non-smoking; this includes balconies. There is a US$250 fine for smoking violations. All units have a jaccuzi tub. Limited parking; oversized vehicles cannot be parked on-site. Complimentary WiFi in all units. 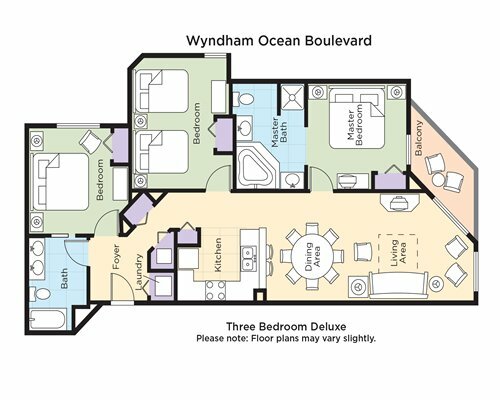 RCI guests are assigned to the Tower 4 building which is not on the ocean side but directly across the street from the ocean. Tower 2 Front Desk is open 24 hrs daily. Tower 4 check-in is Friday, Saturday & Sunday 9:00AM-5:00PM. Arriving outside these hours, use the Tower 2 check-in desk, open 24 hours. Fees charged for most amenities. Call resort to arrange for special needs. Motorcycle rallies in area each May and September. Check with resort or internet for exact dates. 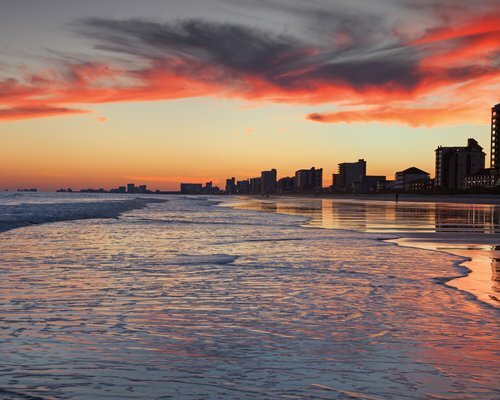 The Myrtle Beach area is all about the beaches, delicious foods, exhilerating amusement parks and some of the finest shopping venues. 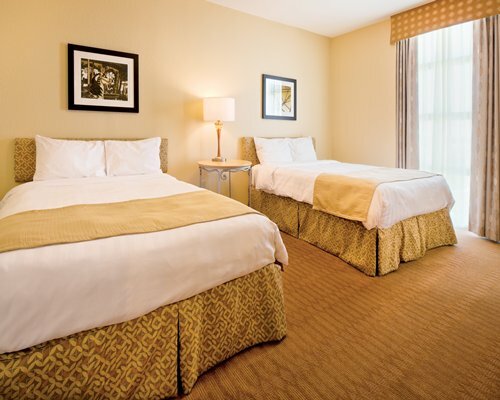 Relax on the beach, take the kids to Wild Water & Wheels Water and Theme Park or Family Kingdom Amusement Park, which has the largest wooden roller coaster and Ferris wheel in the whole state of South Carolina. Go shopping at the Myrtle Beach Factory Stores or Barefoot Landing before you hit the House of Blues. 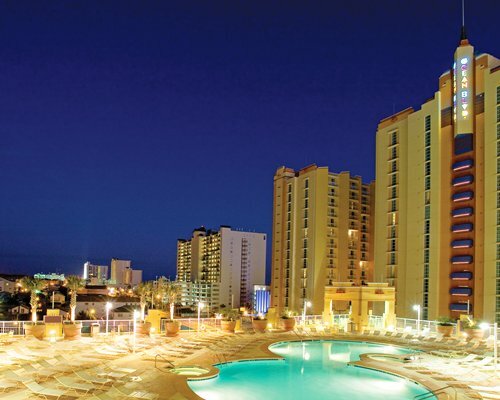 You will find lively nightlife for the adults including live theater performances at Alabama Theatre, adventurous water sports as well as fishing and golf, with more than 100 golf courses throughout the area. When traveling on Highway 17 in North Myrtle Beach, turn East on Main Street (toward the ocean). Take Main Street to Ocean Boulevard and turn right on Ocean Boulevard. Go approximately 4 blocks and turn right (into resort) just before 5th Avenue South. Enter resort via 2nd ramp/ entrance and follow signs to check-in. 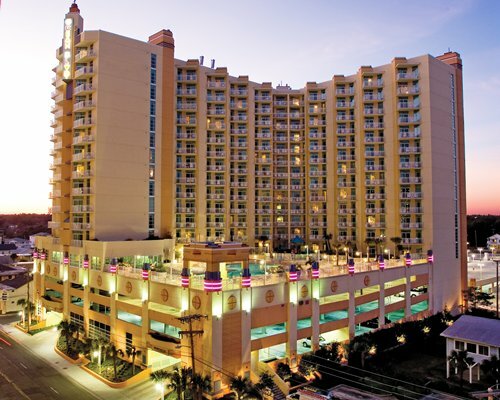 Check-in address of Tower 4: 410 S. Ocean Blvd. This is the check-in location for RCI Guests staying in Tower 4. 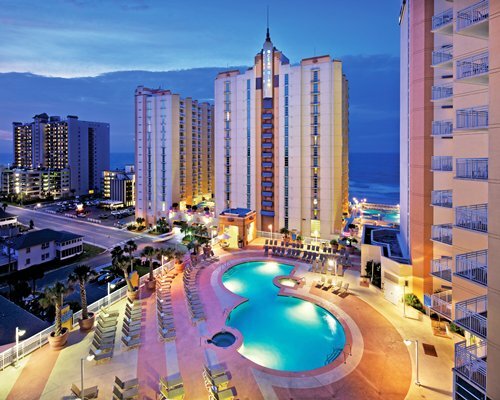 Resort is in North Myrtle Beach, SC. 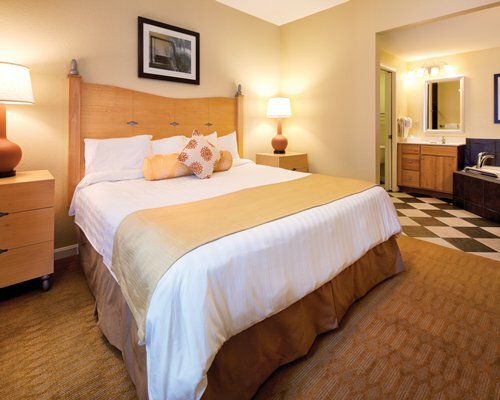 "Housekeeping fee for all RCI points reservations: There may be a fee of 75.00 U.S. dollars for all units, weekly. Cash or Credit is accepted." Mandatory. For reservations less than 7 nights.